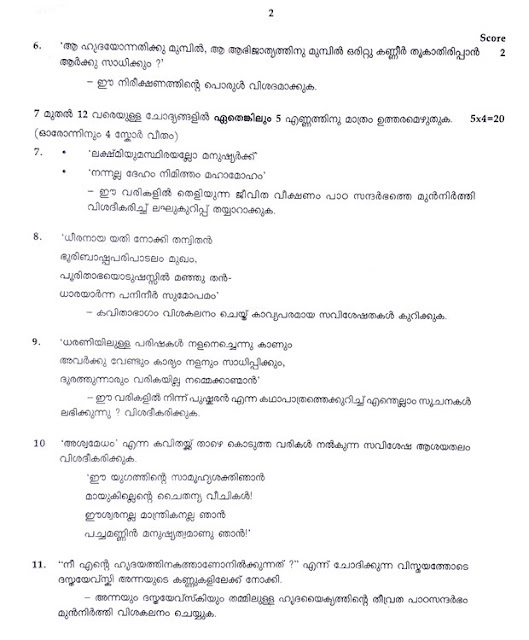 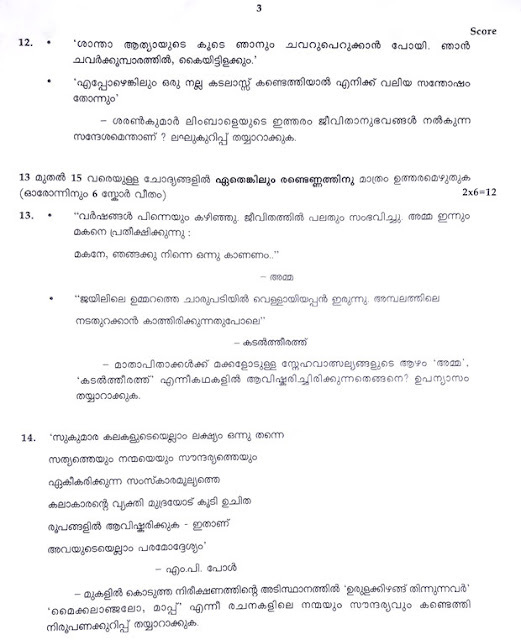 Kerala SSLC (10th Standard) Malayalam Paper 1 question paper March 2017. 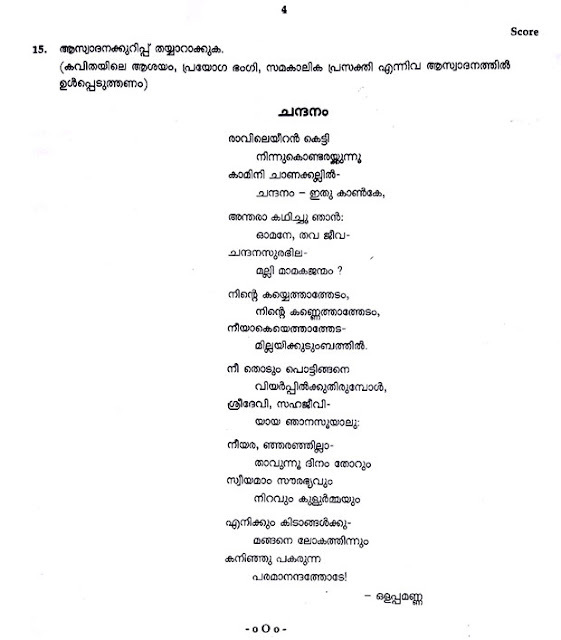 The examination was held on 8th March 2017 by Kerala Board of Education. 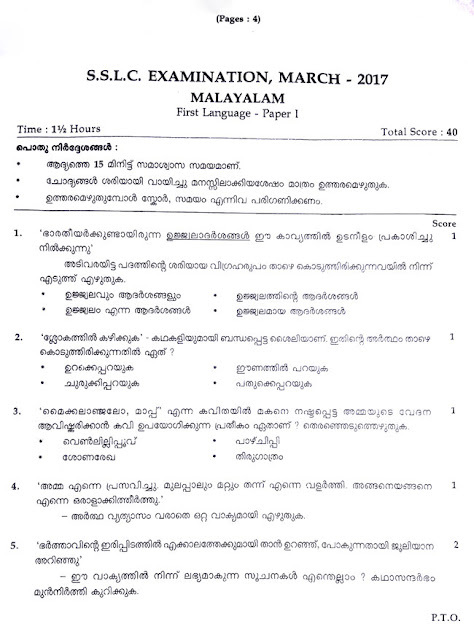 Subject: First Language Paper 1 (Malayalam), Total Questions: 15, Maximum Marks: 40, Total Pages: 4, Exam Date: 08 March 2017, Download Question Paper as PDF.